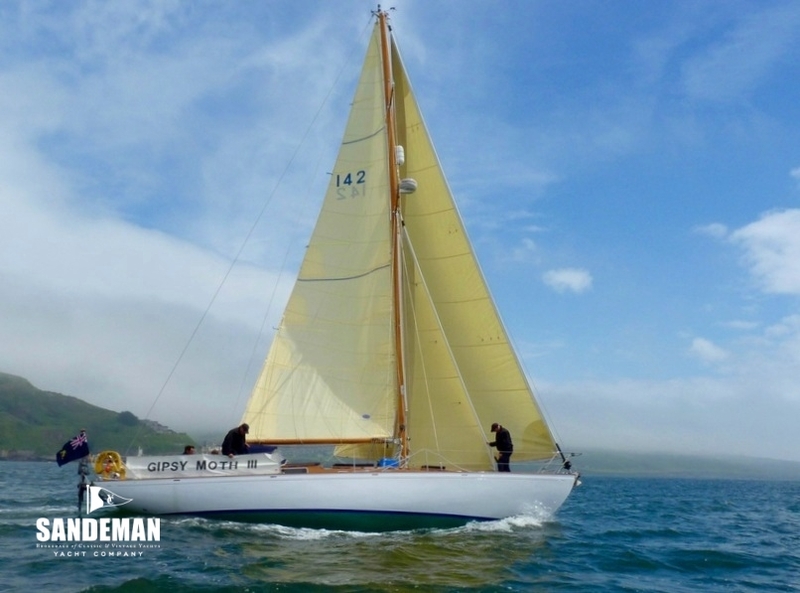 Few yachts come with such a back story as GIPSY MOTH III's - winner of the first Singlehanded Transatlantic Yacht Race in 1960. 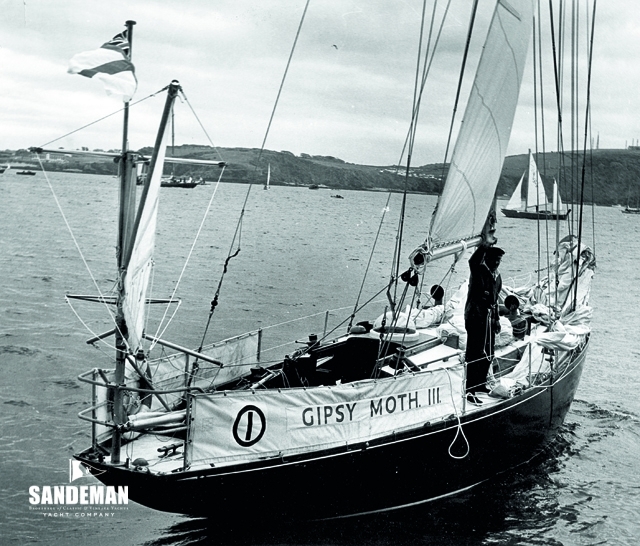 Her first owner (later Sir) Francis Chichester's exploits with her, and successor GIPSY MOTH IV, are such a solid part of British maritime history; in the late 1960s boats and man became household names. 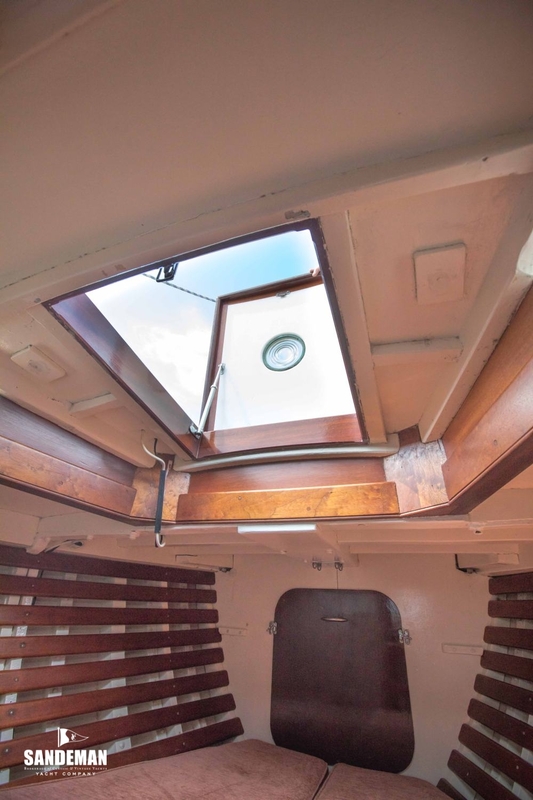 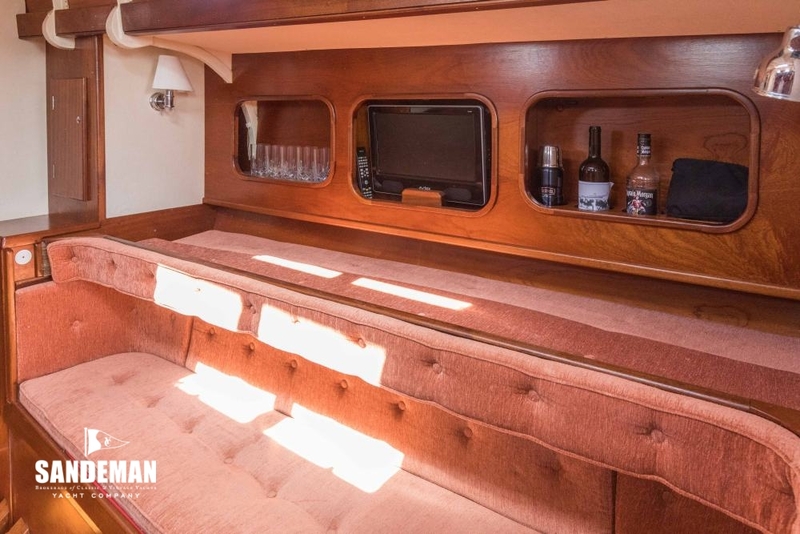 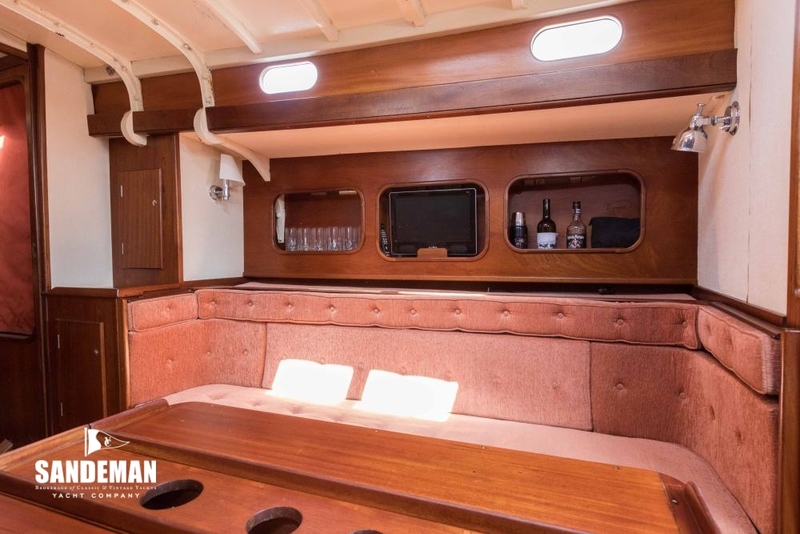 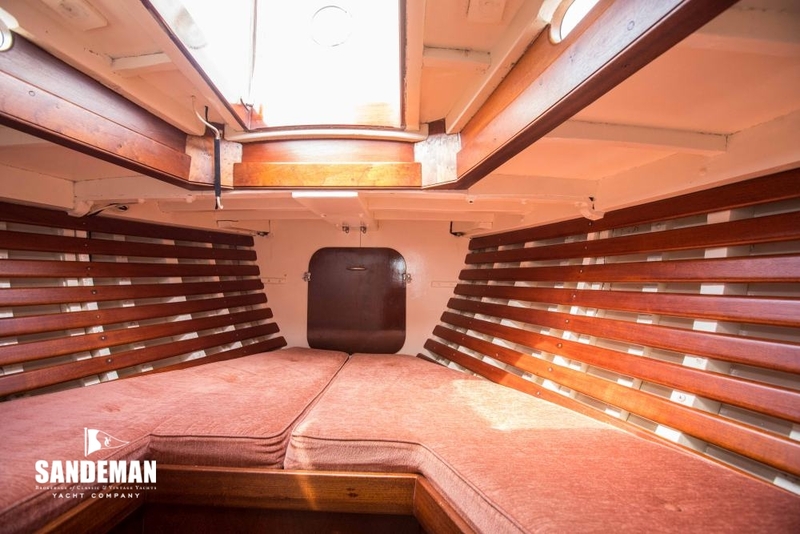 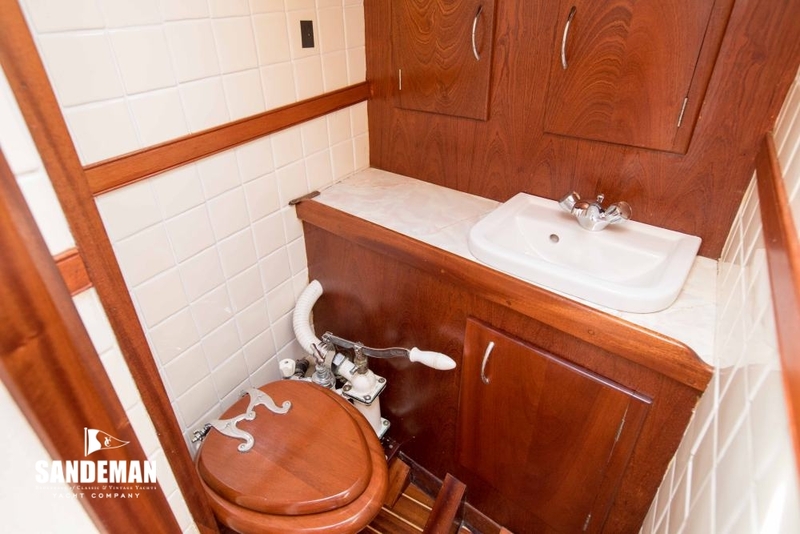 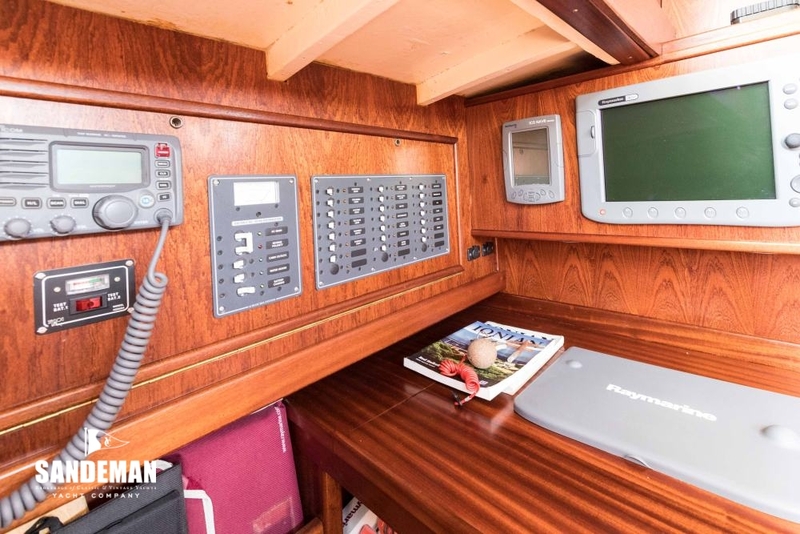 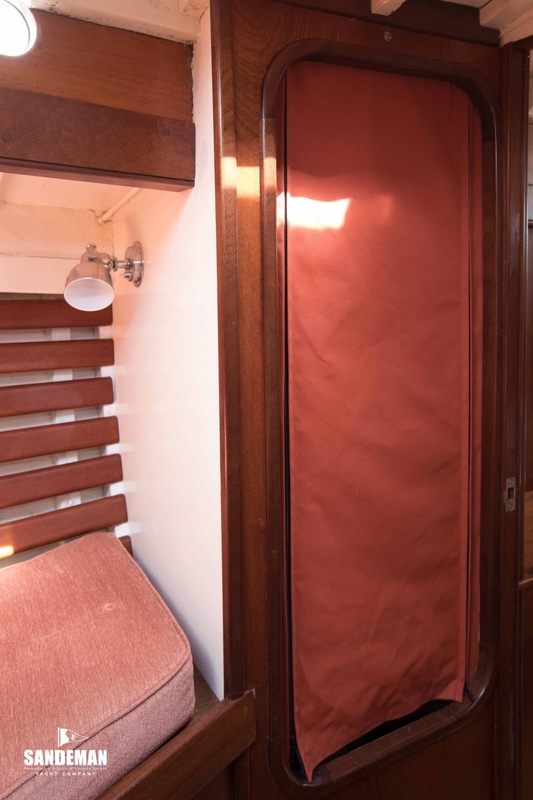 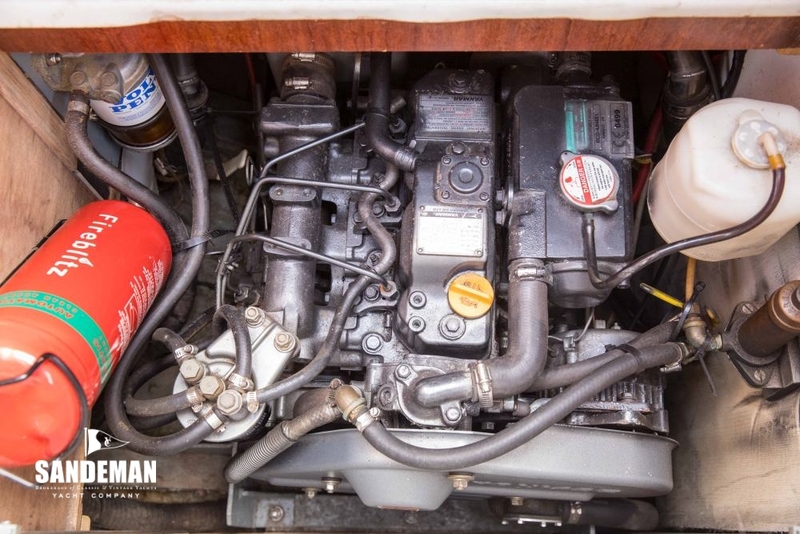 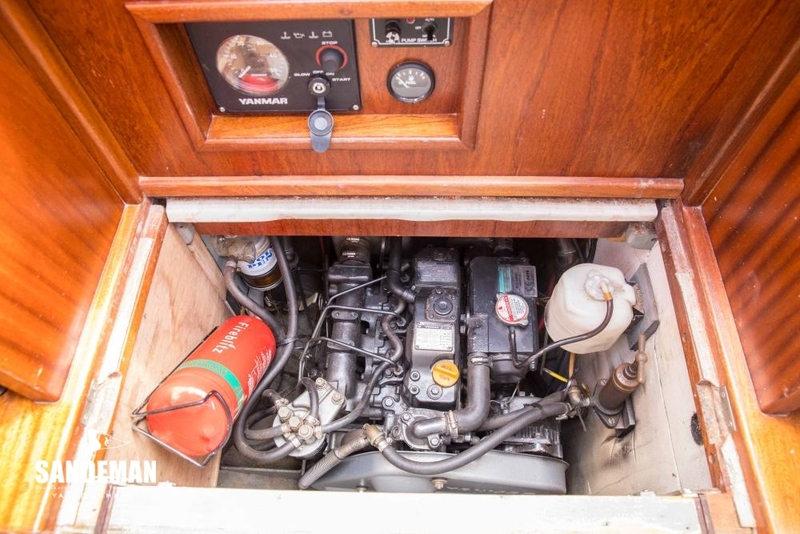 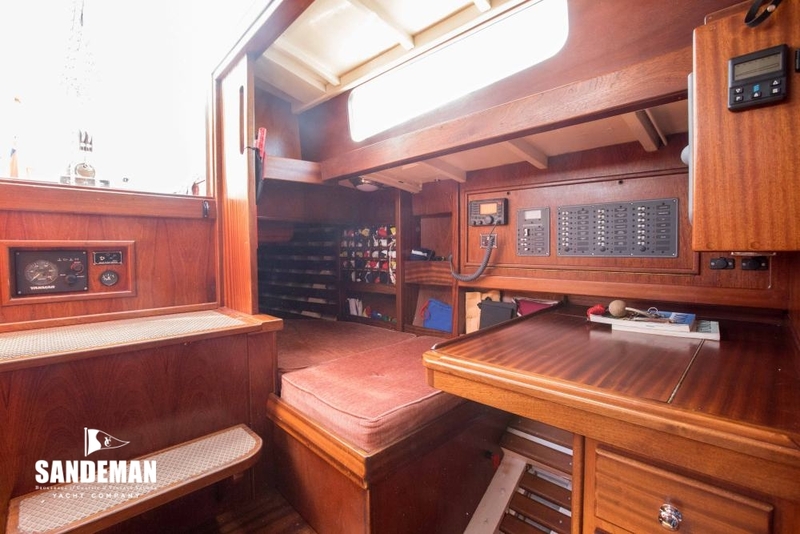 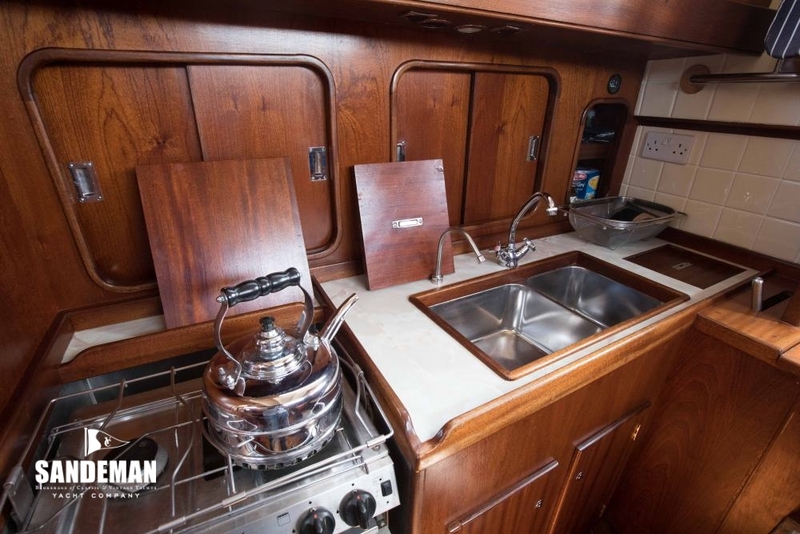 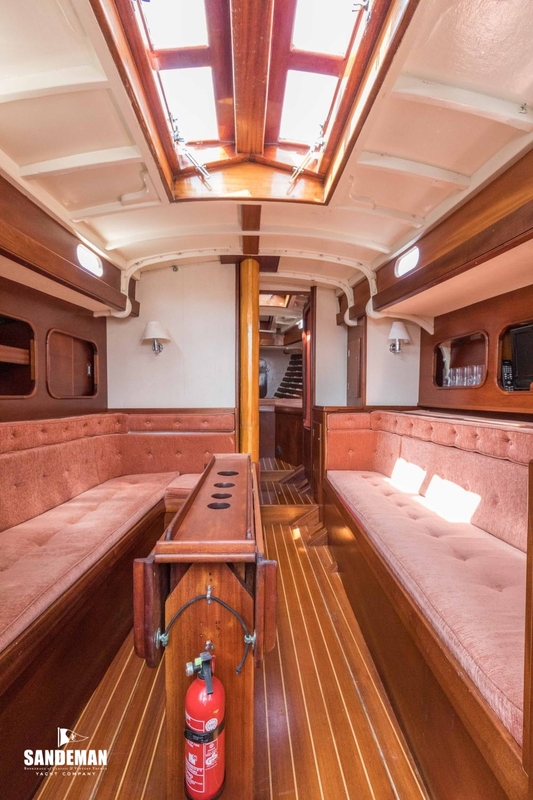 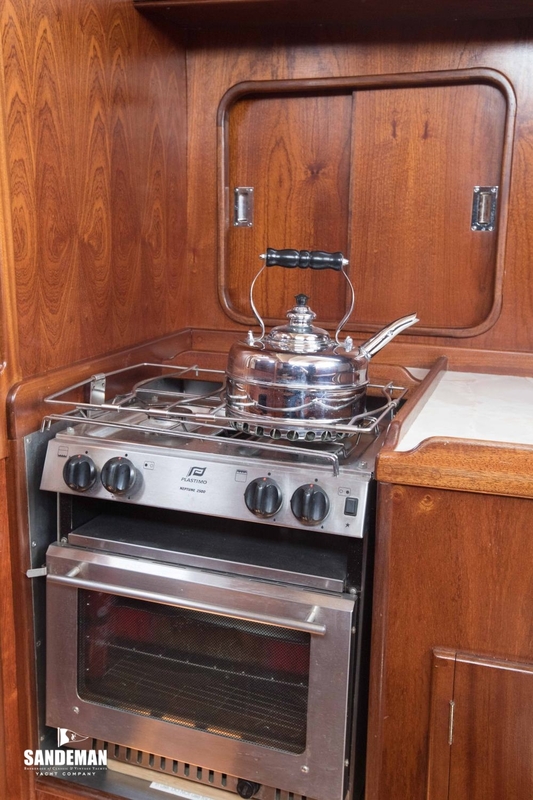 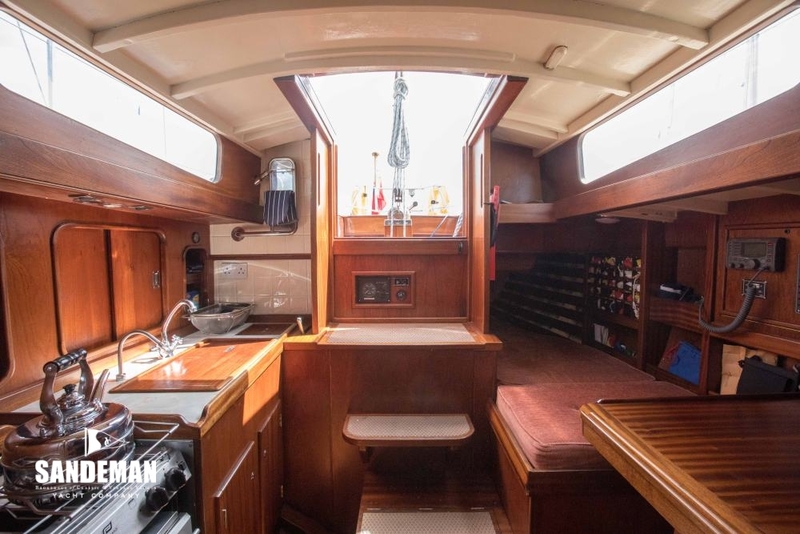 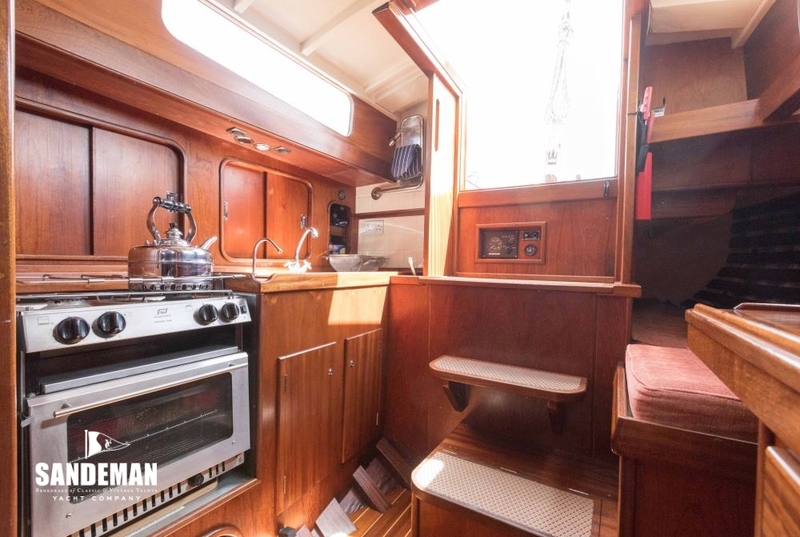 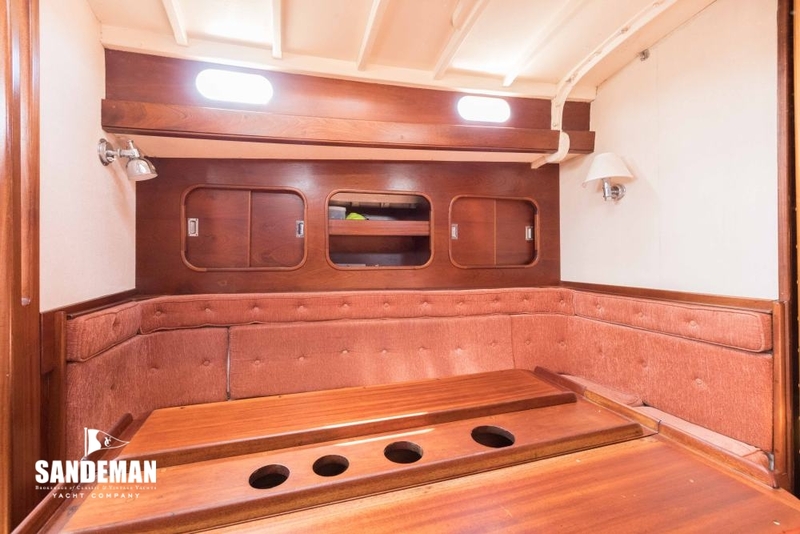 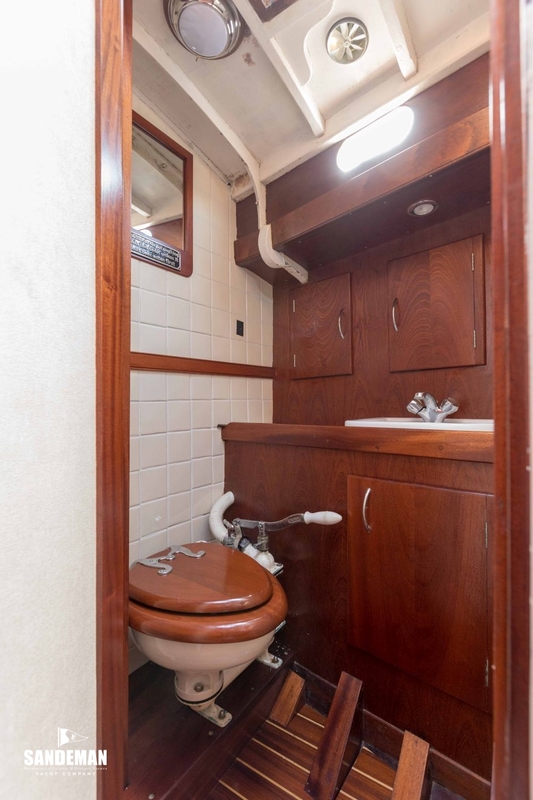 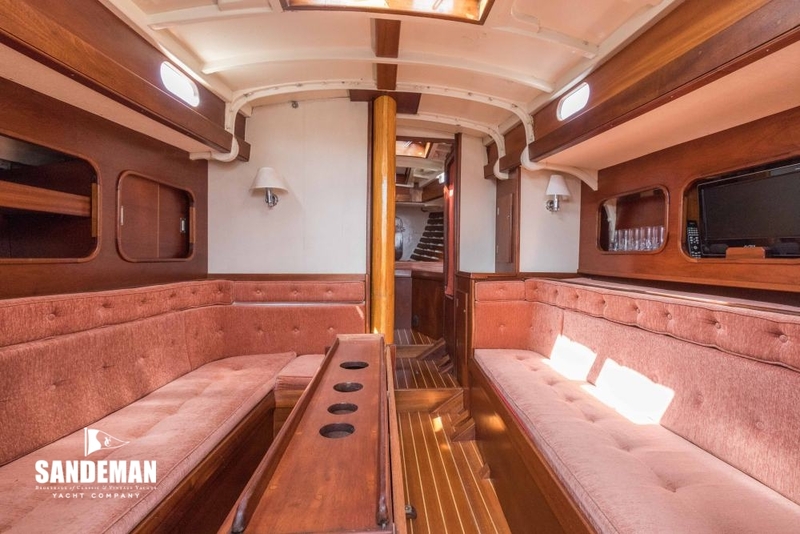 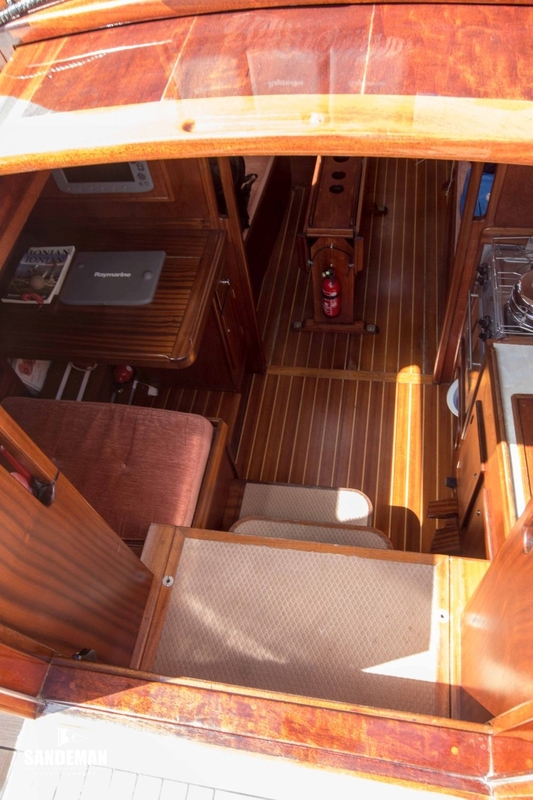 It's this that has motivated subsequent owners to feel compelled to lavish just deserts on this well proven Robert Clark design, her present owner being no exception having put her through a recent major refit including a new deck and a thoroughly updated but in-keeping new interior. 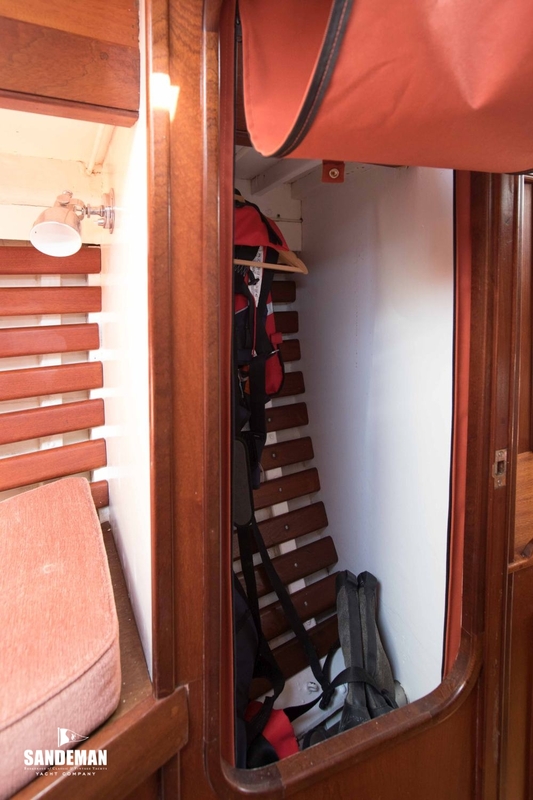 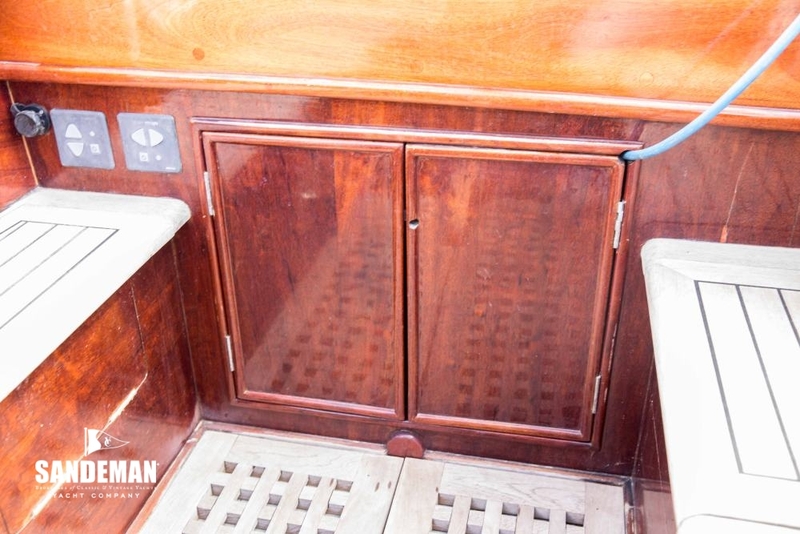 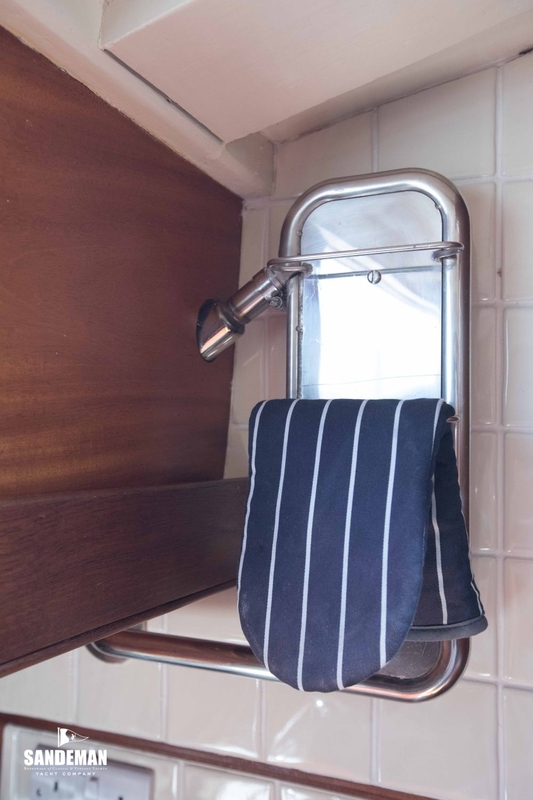 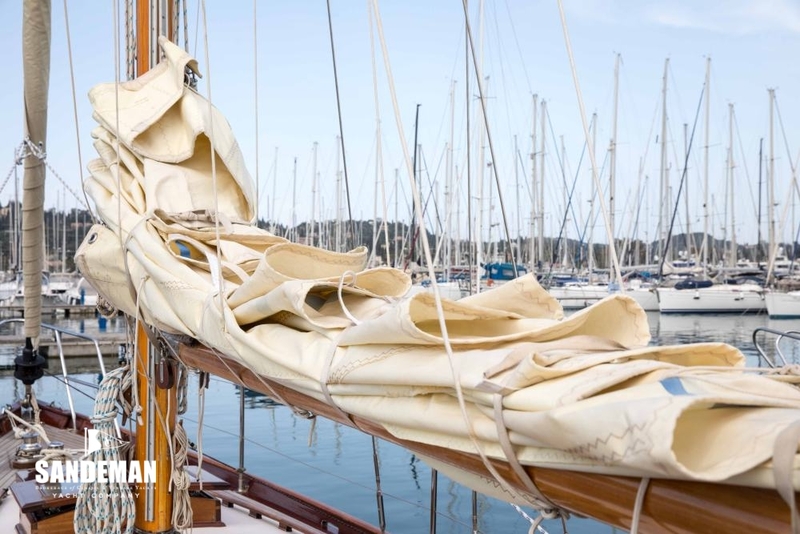 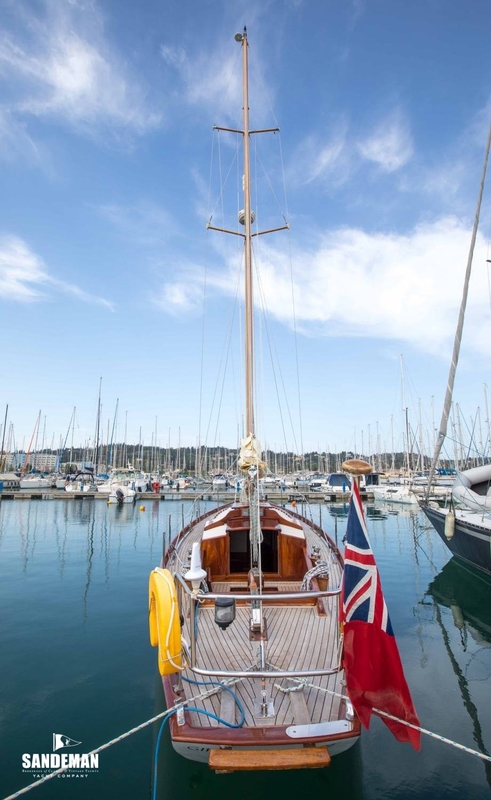 GIPSY MOTH III offers a wonderful opportunity to own a very practical, comfortable, and unquestionably able piece of British maritime history. 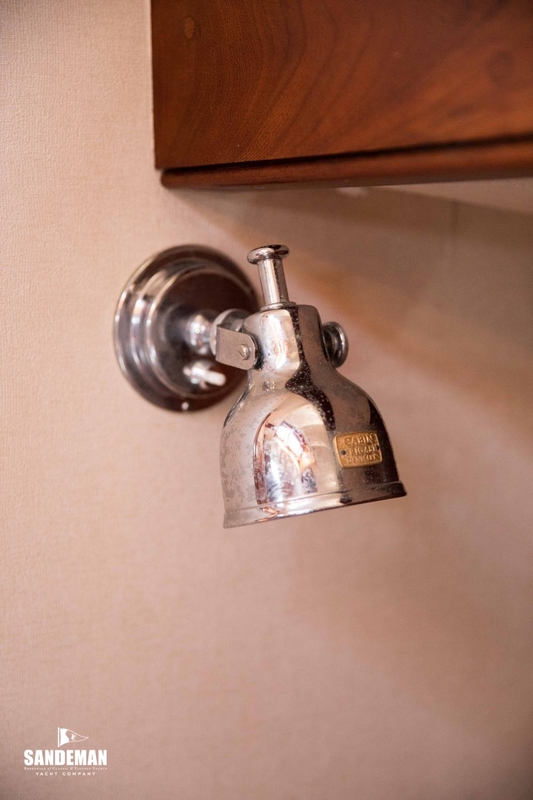 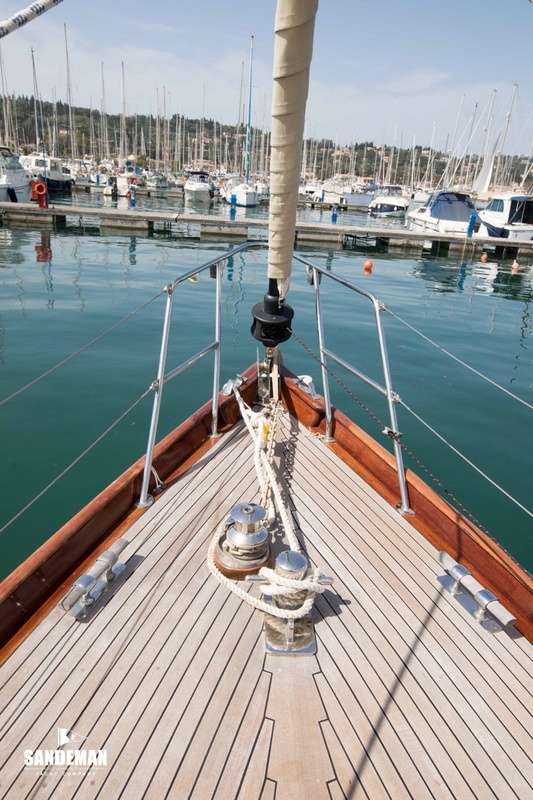 One of the most famous yacht names in history owes its origins to Sir Francis Chichester’s previous life as an aviator, particularly as a pioneer of developments in aerial navigation. 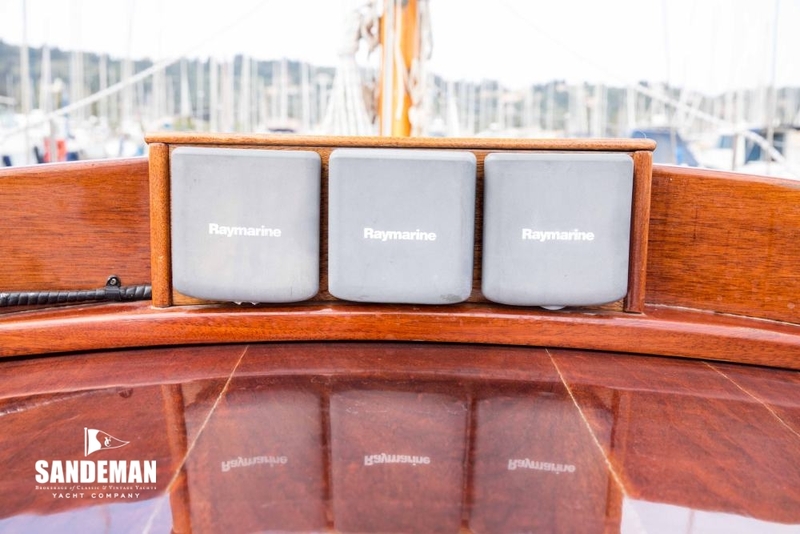 In a way, GIPSY MOTH III might really have been named GIPSY MOTH IV as “I” and “II” were de Havilland Gipsy Moth biplanes. 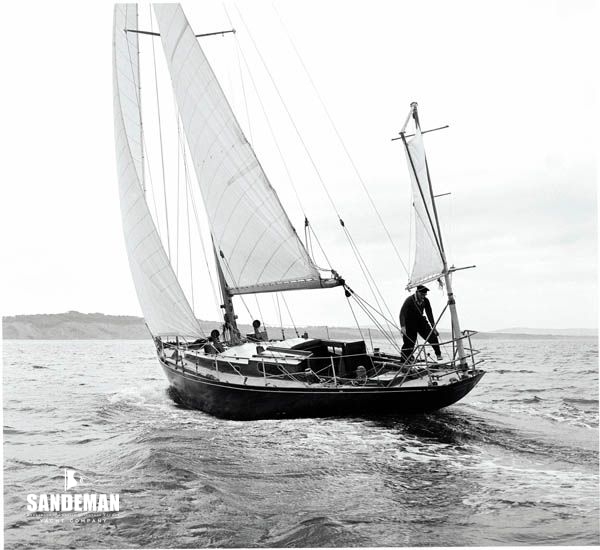 Chichester took up sailing after the second world war with the purchase of a pretty Whisstocks of Woodbridge designed and built sloop he renamed GIPSY MOTH (II) after his second plane in which he’d flown solo half way round the world in 1930. 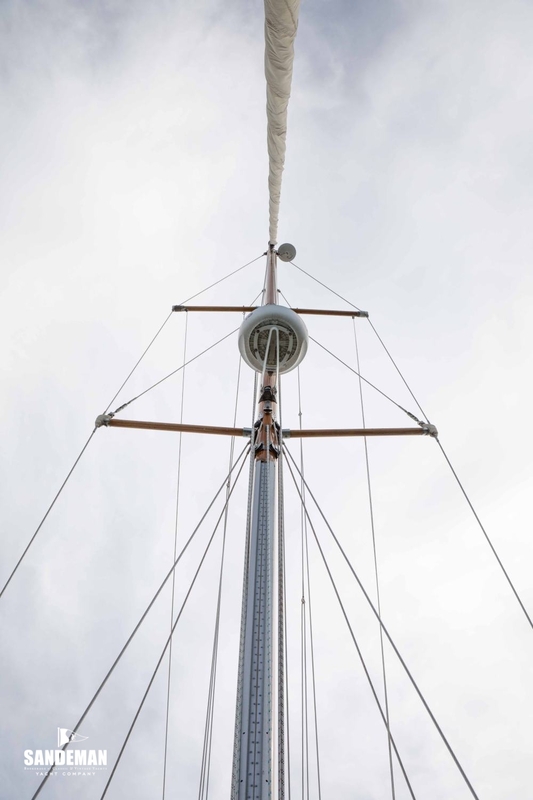 Concept and design were made reality at Arklow, County Wicklow, Ireland, by the John Tyrrell & Son yard, which since the 1930s, and in particular under the post second war leadership of naval architect and RORC member Jack Tyrrell, had gained a significant number of orders for yacht construction to drawings by some of England's best known designers, built alongside the yard's bread and butter work of fishing vessels, pilot cutters and other commercial craft, and Jack Tyrrell's own yacht designs - all beautifully built. 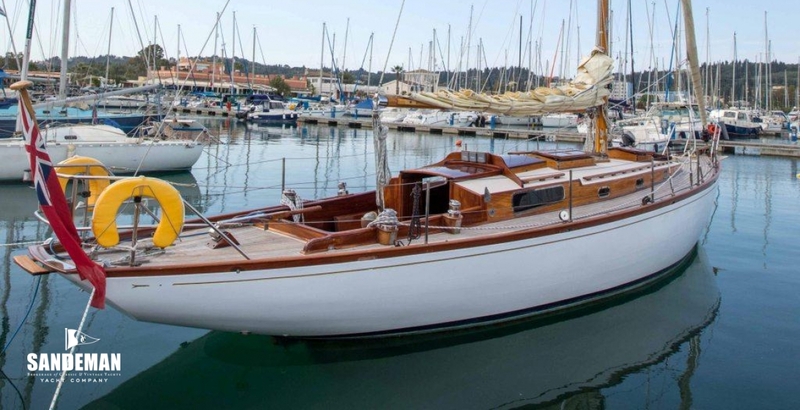 According to retired Beaulieu River Harbourmaster and long time friend, Bill Grindley, GIPSY MOTH III was to become, “Sir Francis’ favourite yacht, his most personal one”. 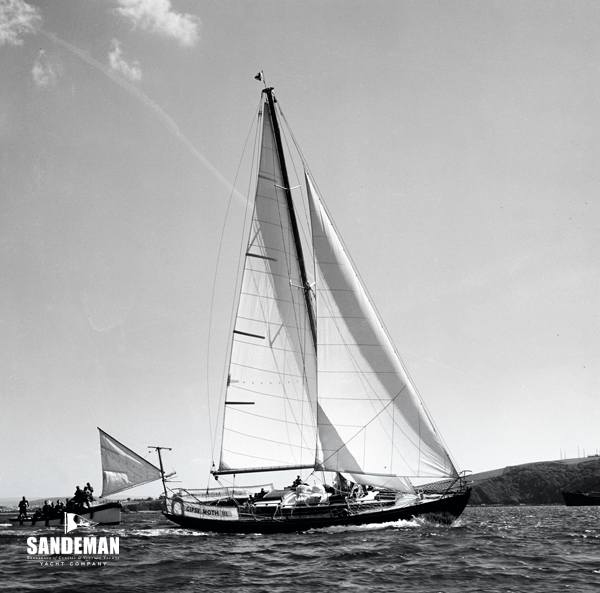 Putting serious illness behind him, Chichester won the first Singlehanded Transatlantic Race with her in 1960, and in 1962, after rig optimisation by John Illingworth, set a solo east to west transatlantic record - arriving in the USA on 4th July. 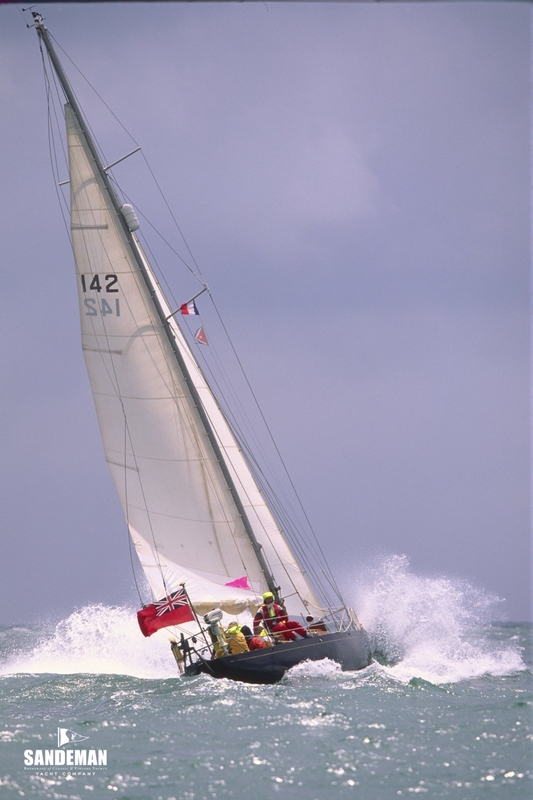 In 1964 Chichester and GIPSY MOTH III again took on the Singlehanded Transatlantic race, beaten into second place by Eric Tabarly’s PEN DUICK II, but beating their own 1962 record. 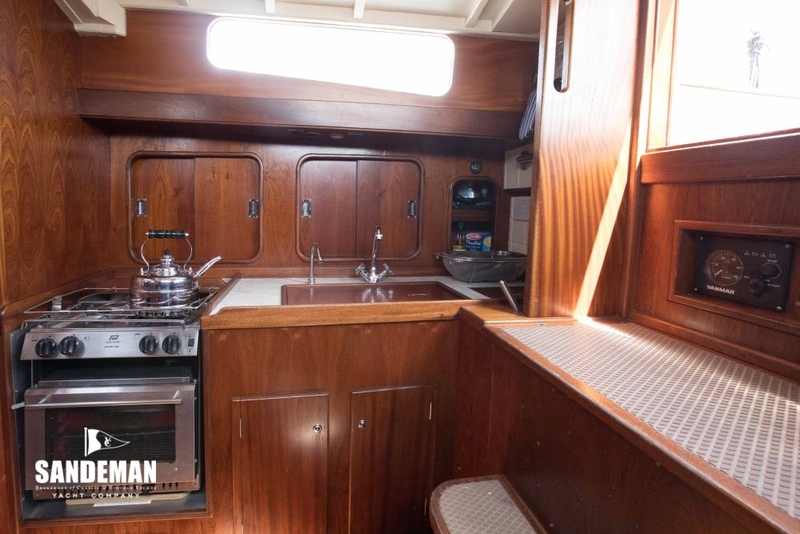 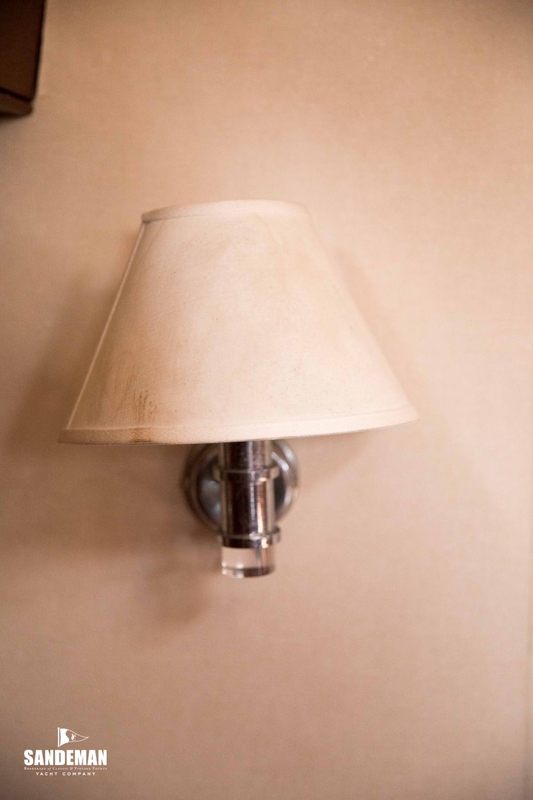 The passage home was boat and owner's 6th crossing in 5 seasons. 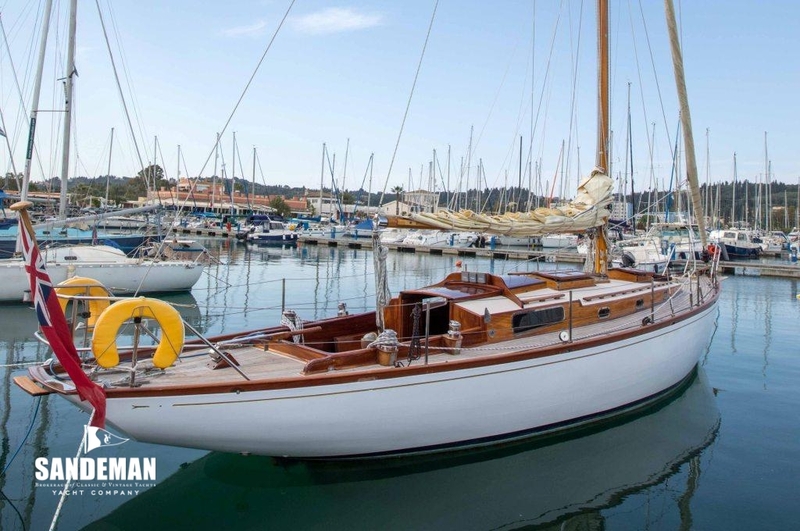 After the 1966 delivery of her Illingworth-designed record breaking circumnavigation successor, GIPSY MOTH III began a series of ownerships, one of whom apparently ended up buying her at a 1981 Bonhams auction having arrived from Switzerland to bid on furniture. 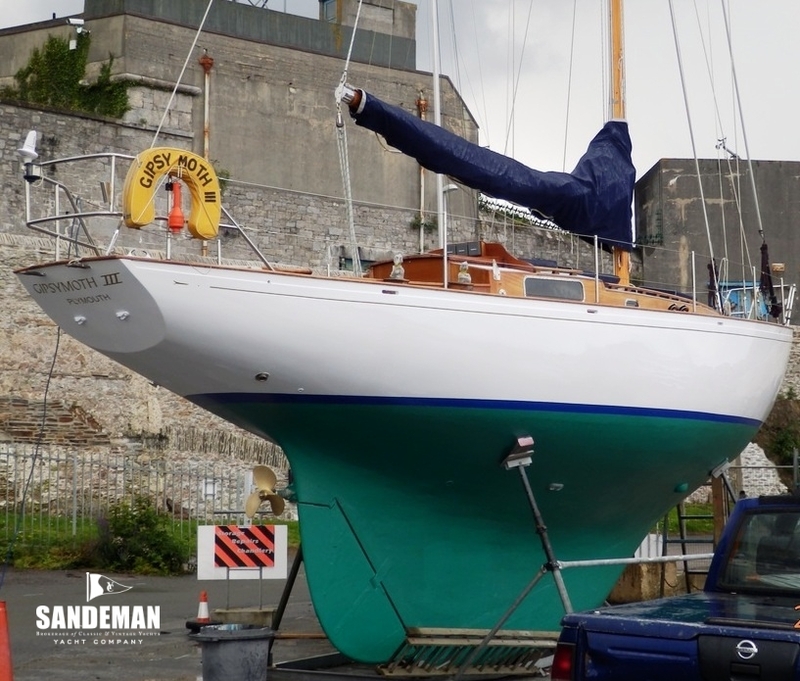 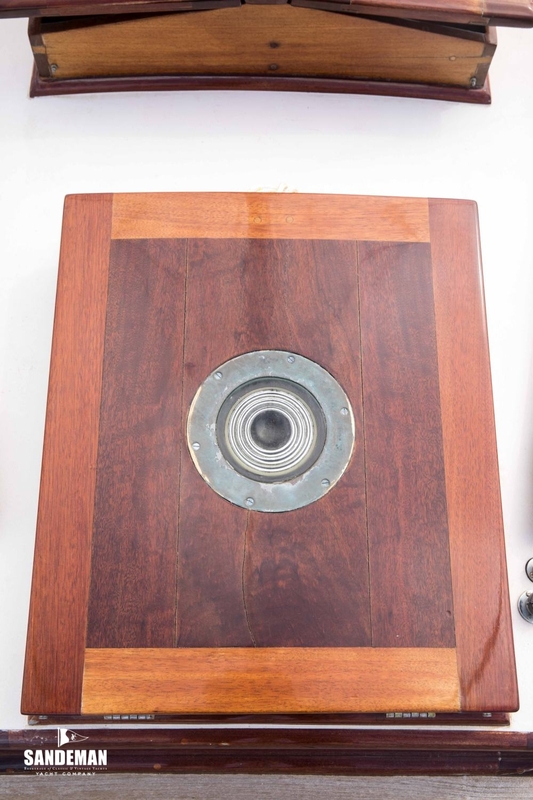 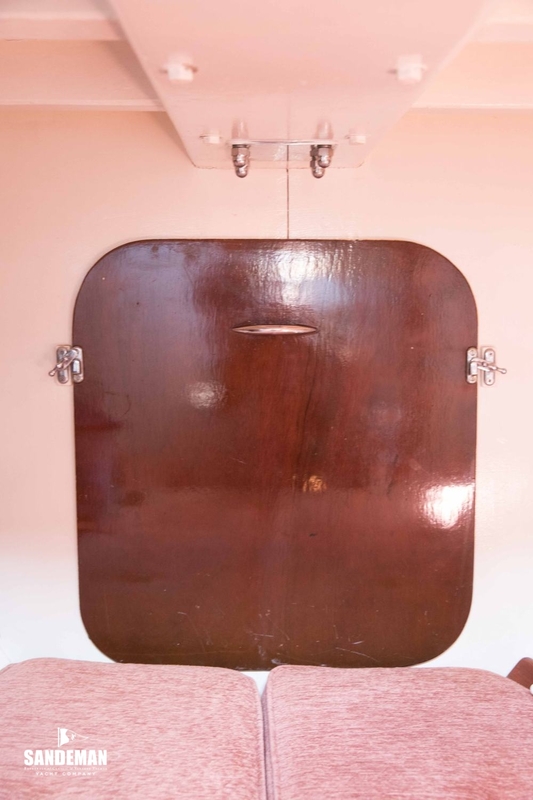 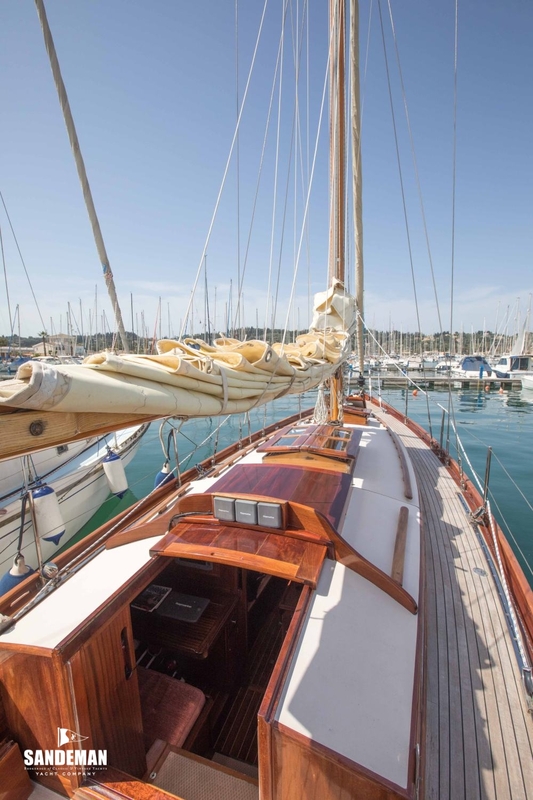 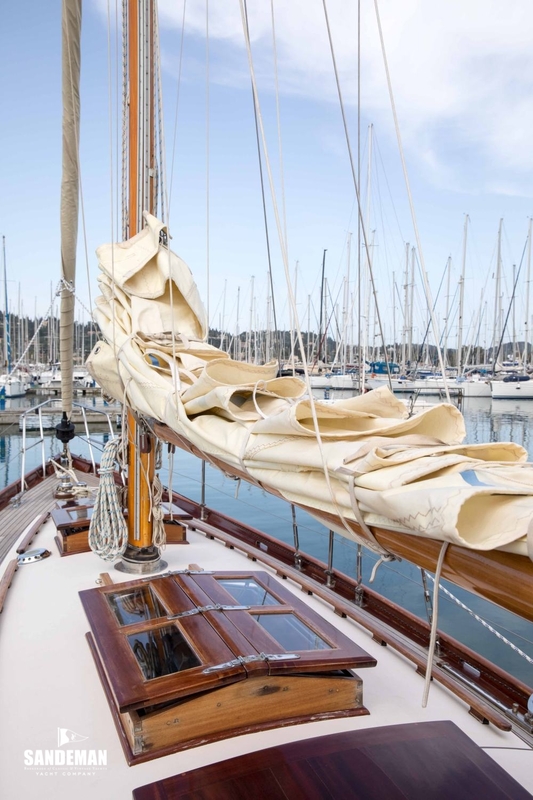 This second phase of her life culminated in rescue from Gibraltar in 1991 from where she’d been purchased in poor condition by Roland Machin, an old school friend of Chichester’s son, Giles. 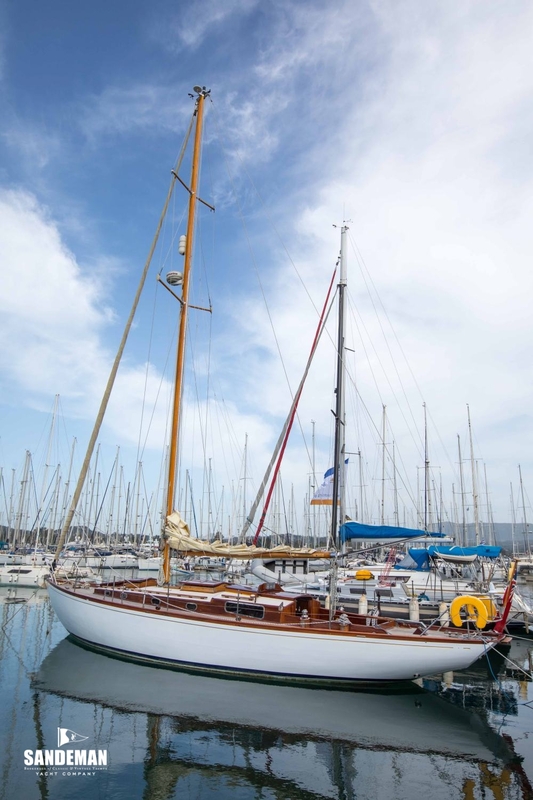 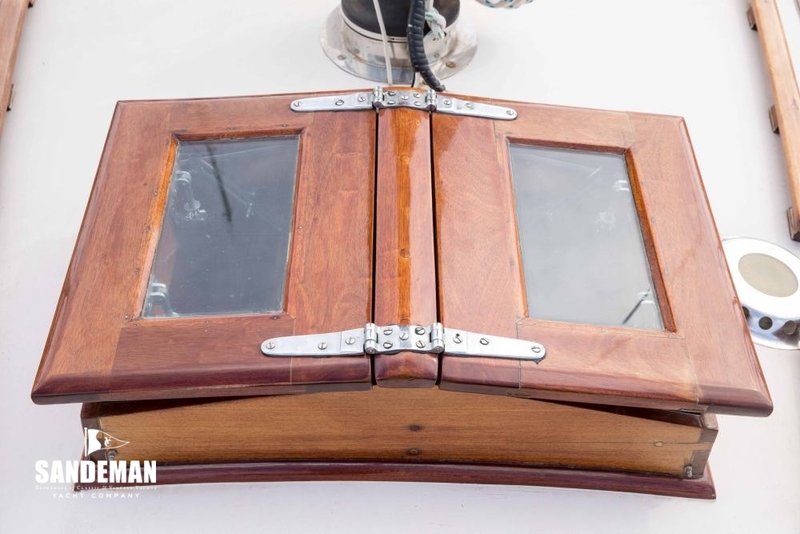 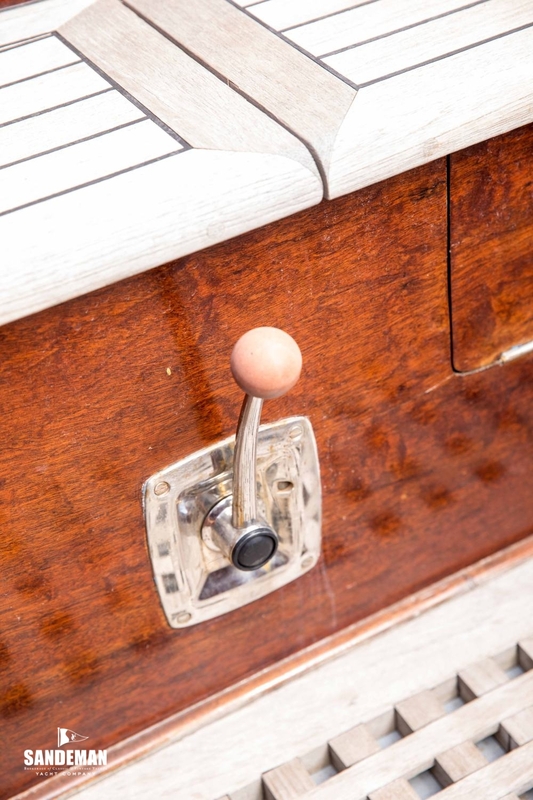 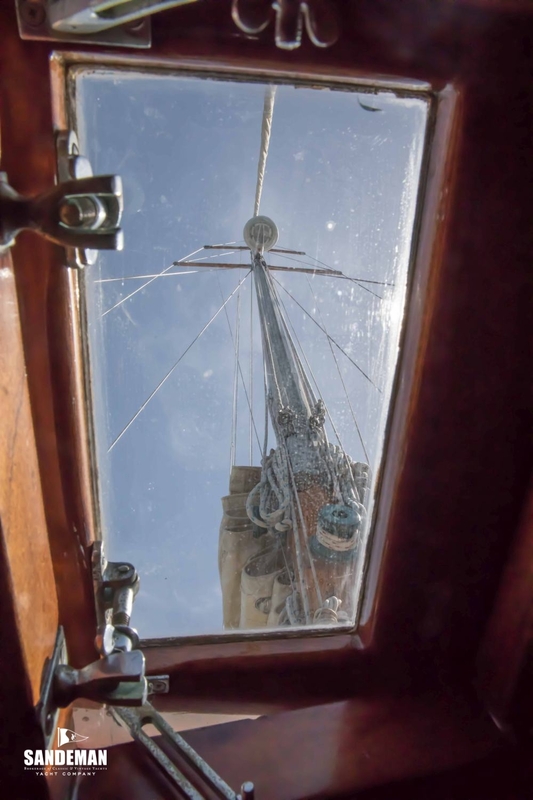 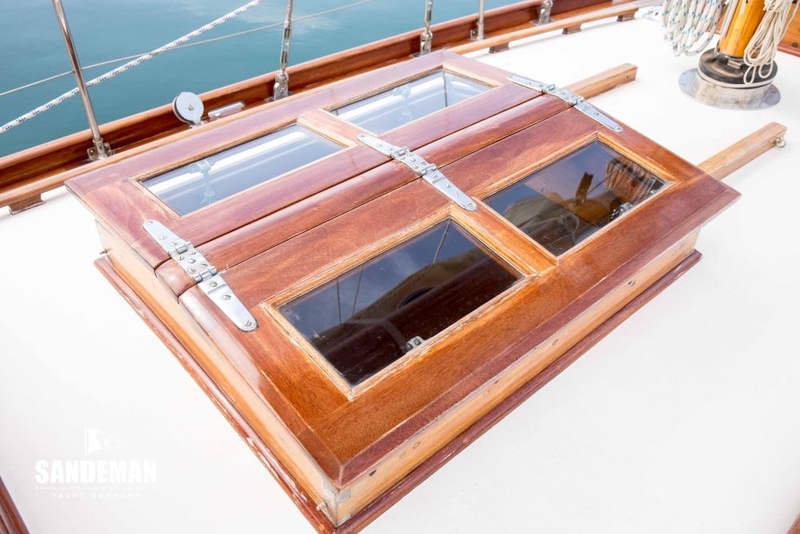 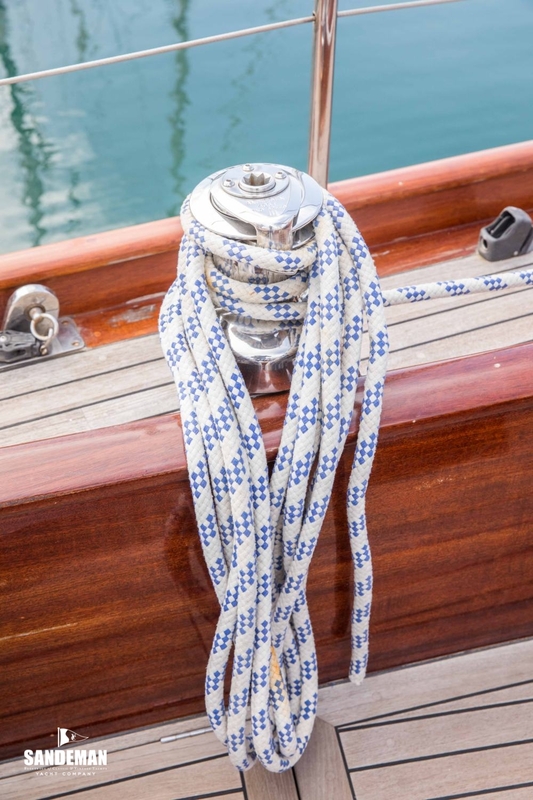 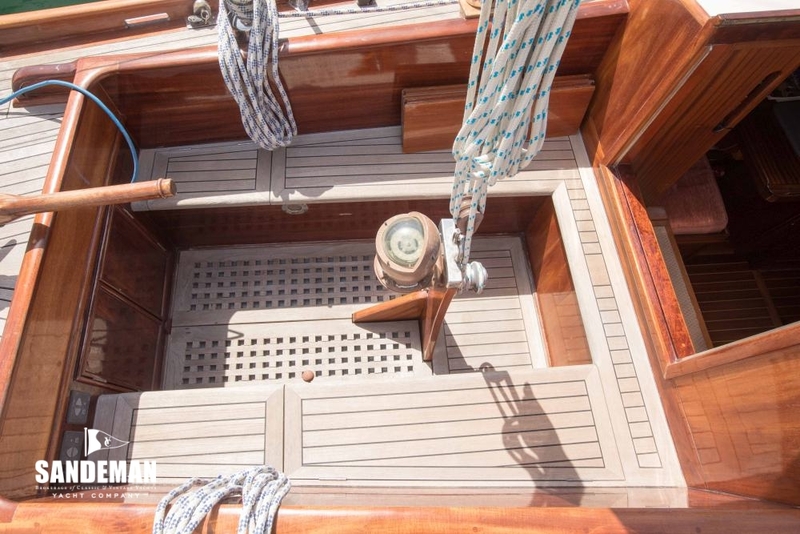 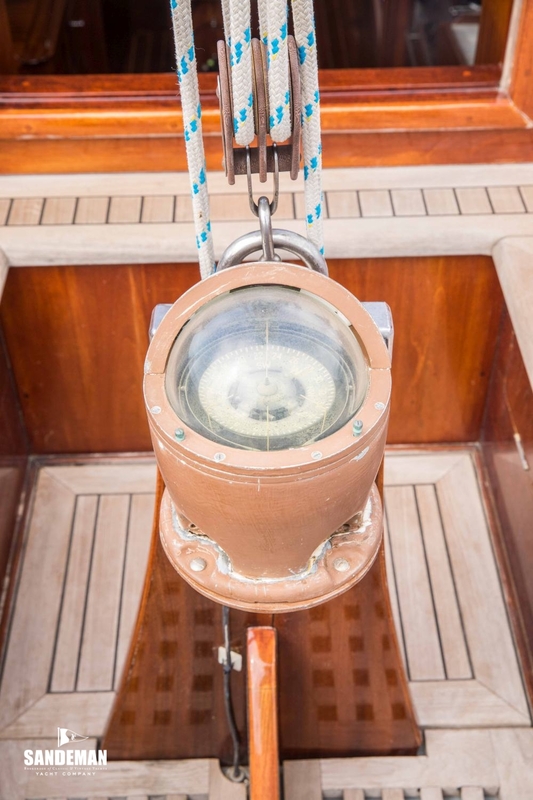 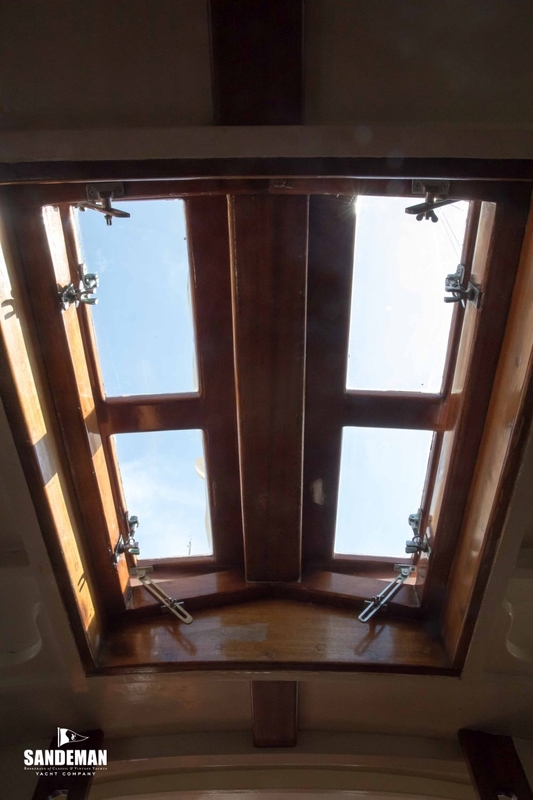 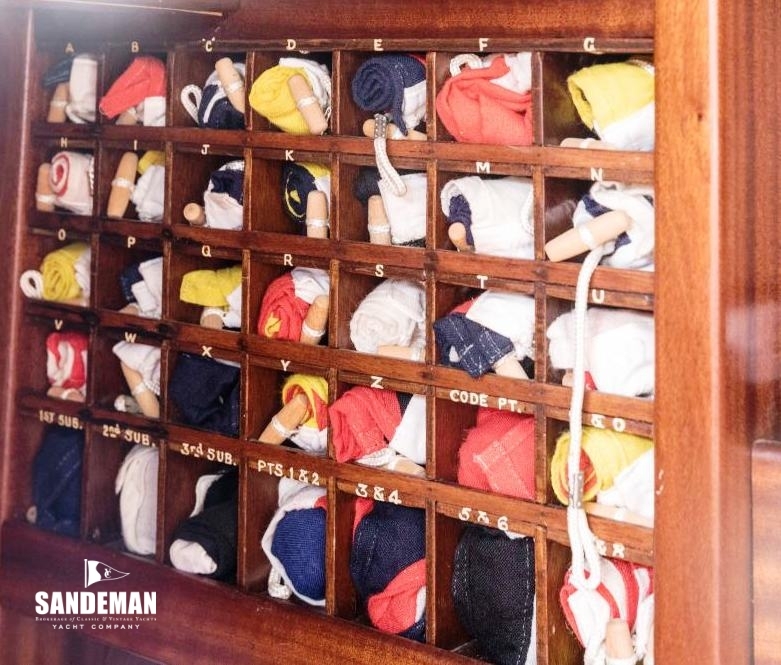 She was shipped to Venice for restoration by Cantiere Nautico dei Fratelli Marchi di Campalto and on relaunching embarked on an ambitious 1990s sailing programme of attending classic regattas including Antigua in 1994 and La Nioularge in 1995. 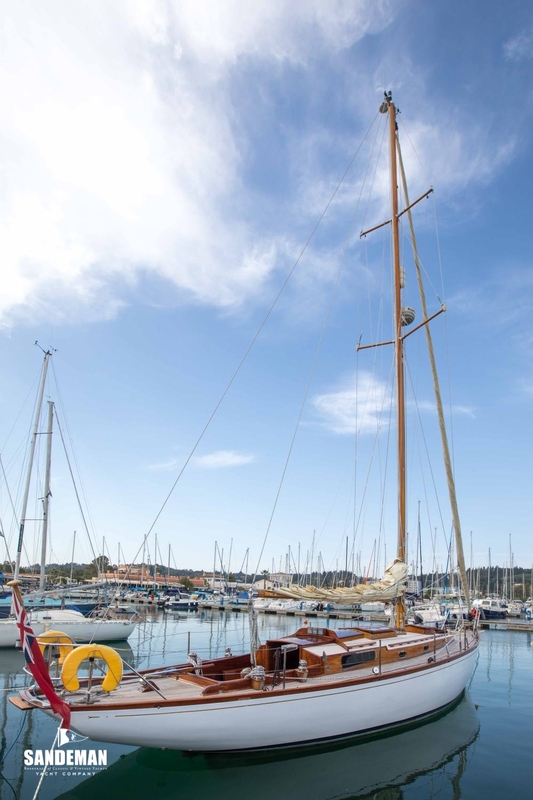 From 2001 she was berthed at Musée Maritime, La Rochelle, France, and in 2005 came into present ownership, the same year she attended the start of the OSTAR. 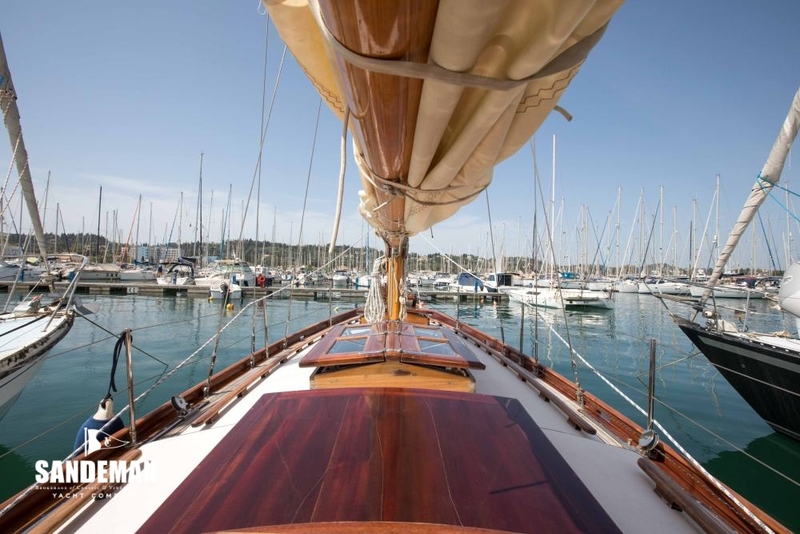 Since 2005 she has enjoyed a programme of upgrades culminating in a recent major refit at Plymouth by RB Shipwrighting. 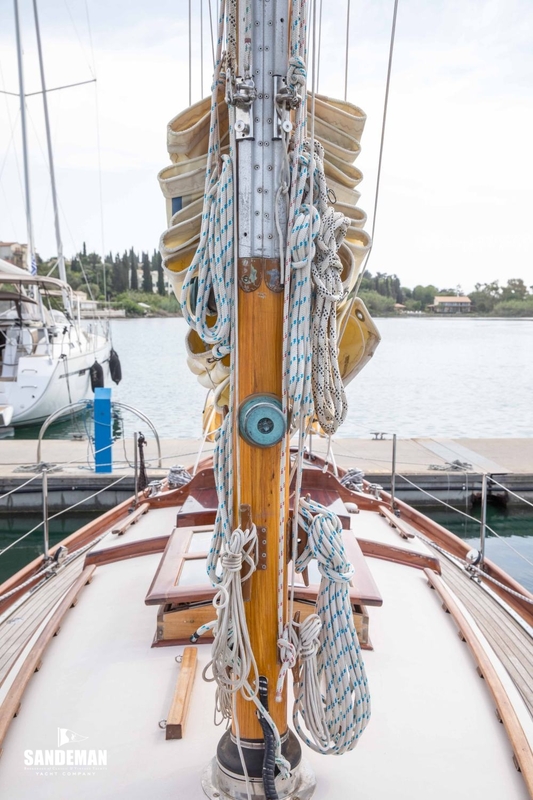 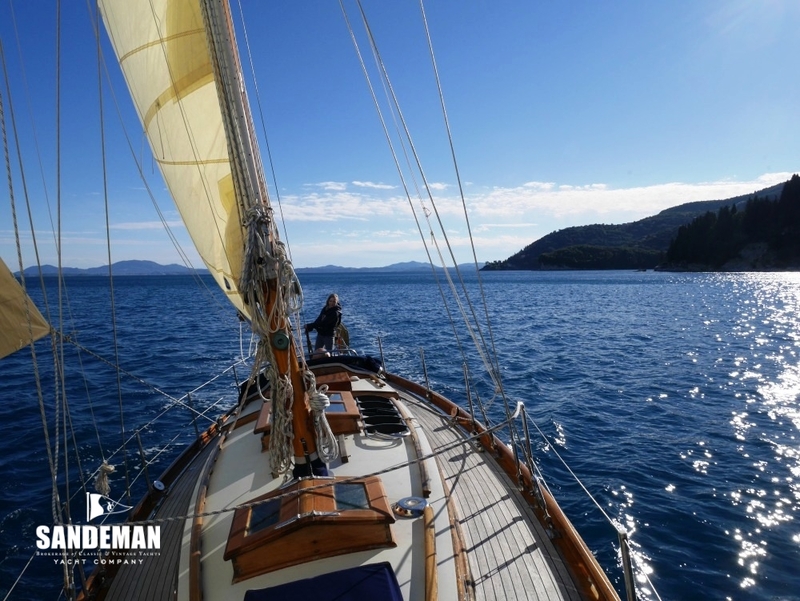 GIPSY MOTH III is now based in the perfect cruising waters of western Greece and has been doted on as the family cruising yacht. 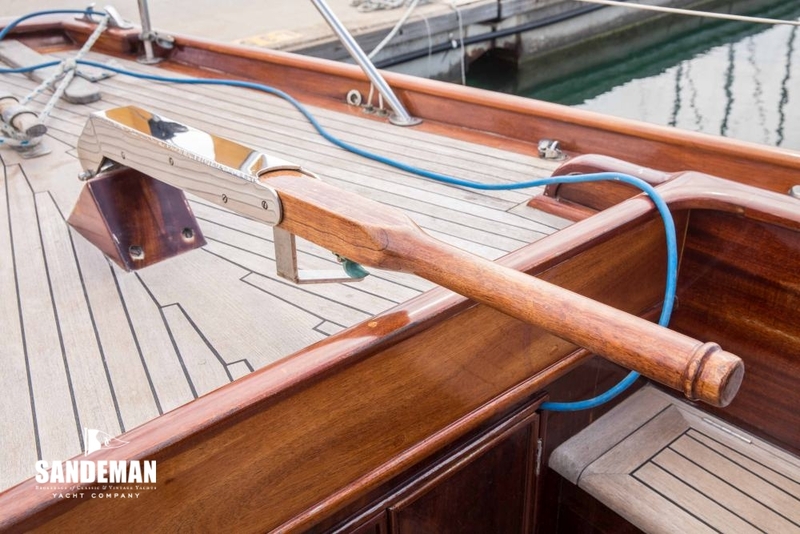 GIPSY MOTH III’s first major refit/ restoration was undertaken in the early 1990s at Venice by Cantiere Nautico dei Fratelli Marchi di Campalto. 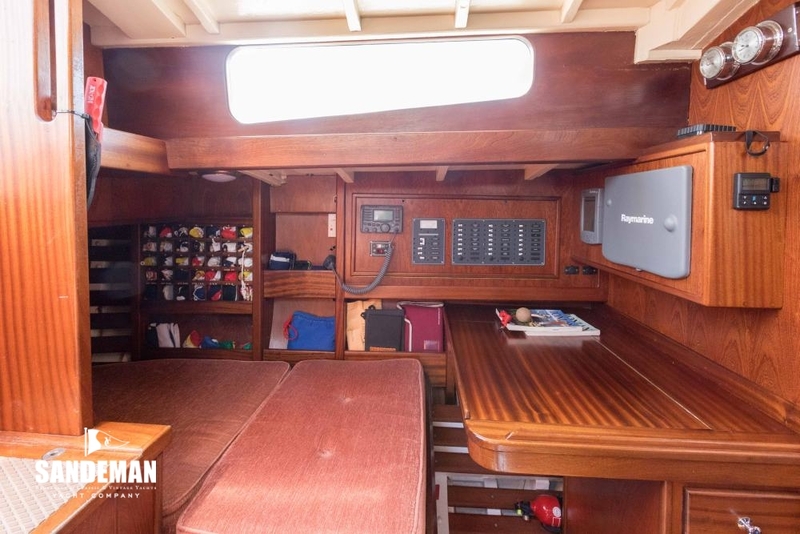 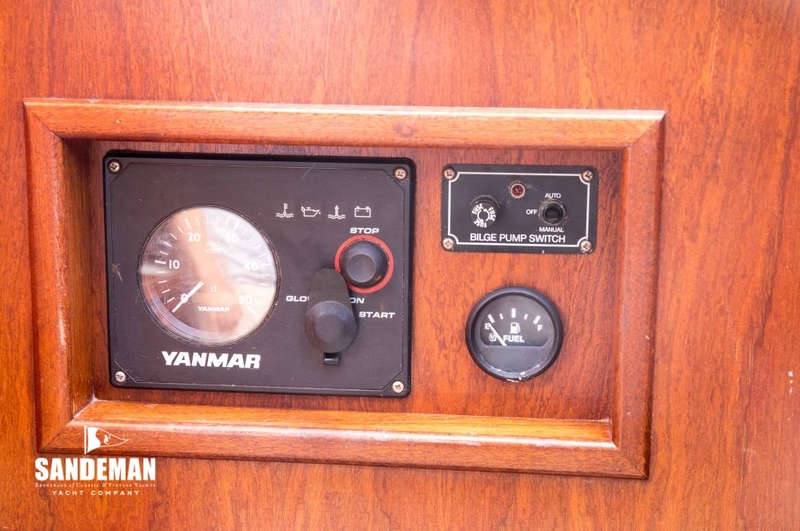 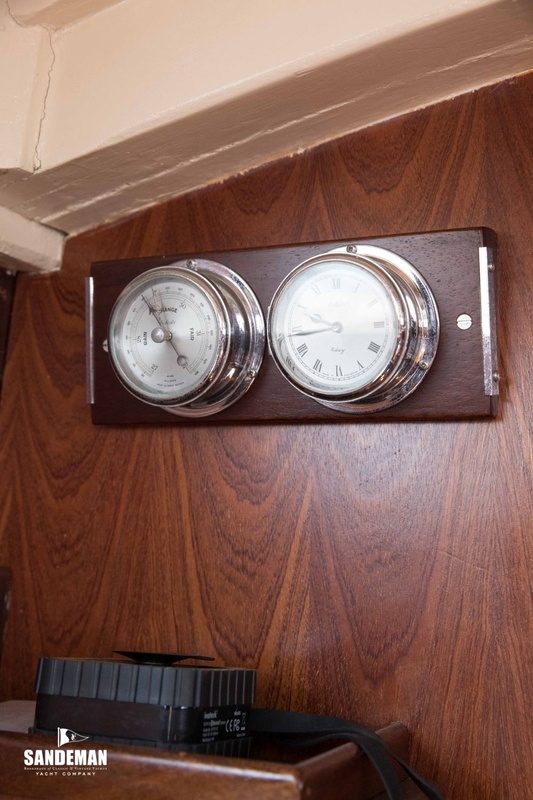 Under present ownership she has enjoyed a long period of major upgrades in between use, in particular 2008-2012 by RB Shipwrighting, then of Plymouth, with new deck, cockpit, interior, systems and powering. 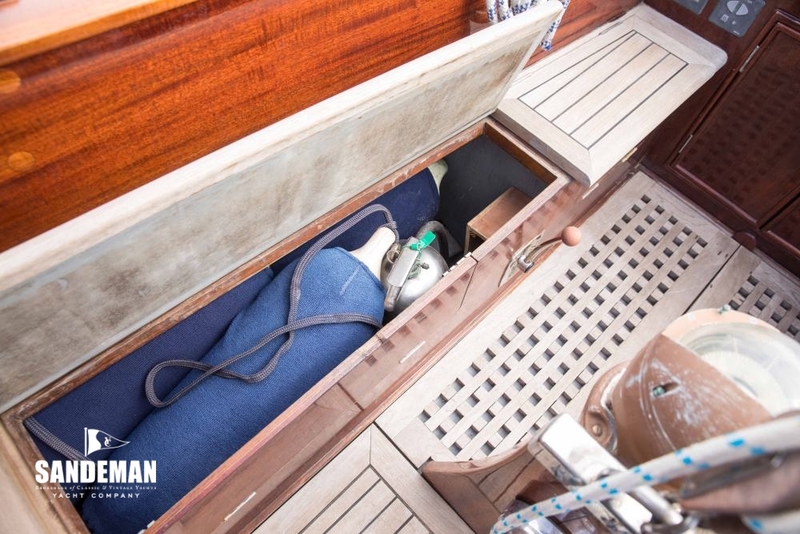 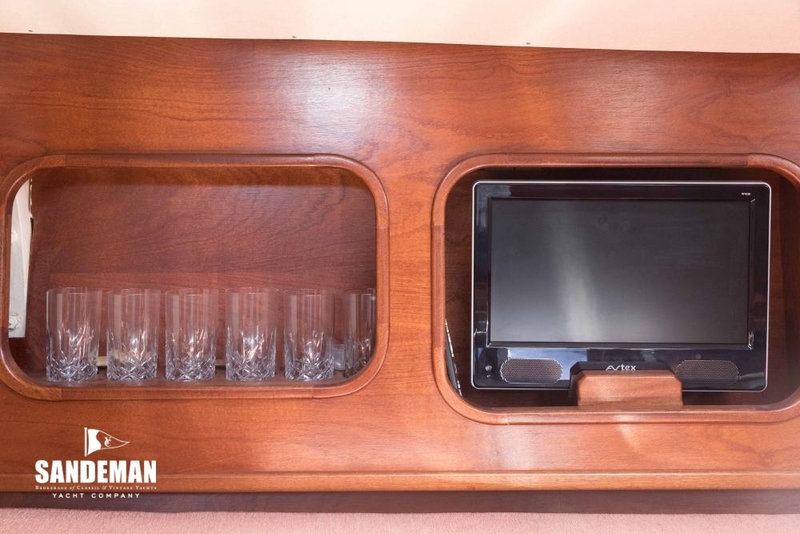 - Starboard upholstered settee with stowage under.